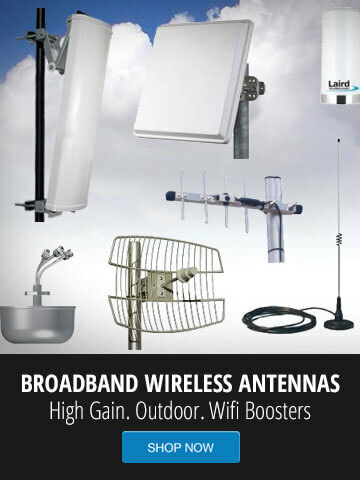 2.4 GHz High Gain grid antennas will broadcast the longest range wireless signal. 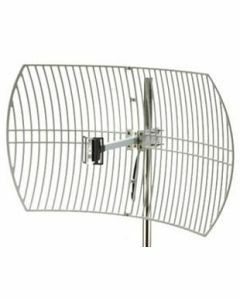 Typically the grid antennas are used in point-to-point applications, connecting two or more locations that are an extremely long distance apart. The benefit of the grid antennas is the high gain, and low cost. The downside is the large size. 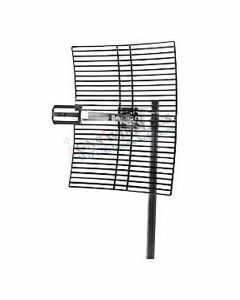 If you are mounting these on a roof, or tall building, they are lightweight, and offer very minimal wind resistance.